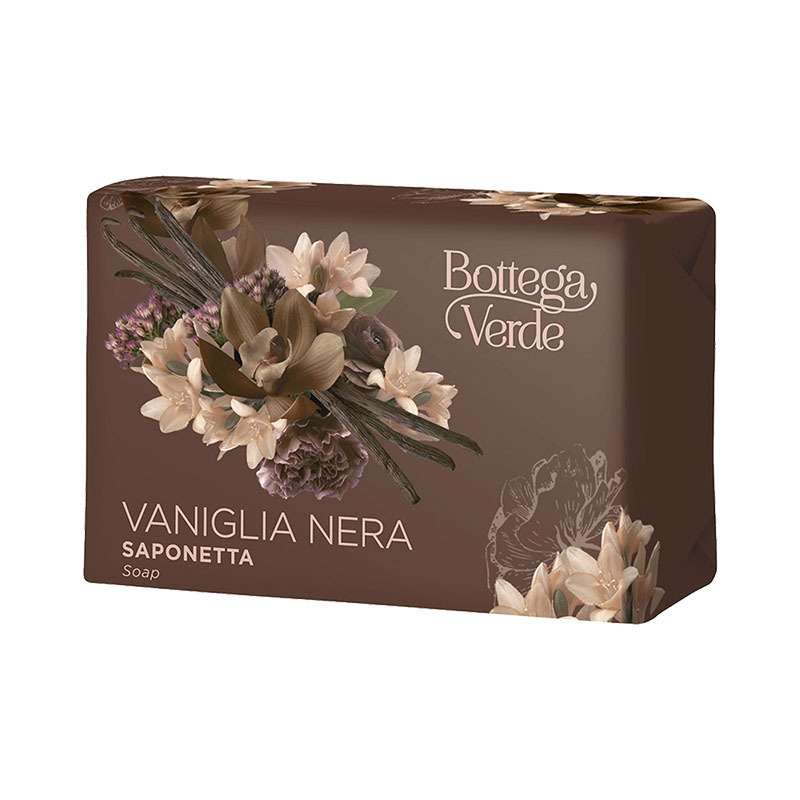 This beauty soap, which releases the full velvety sensuality of the Black Vanilla fragrance, is a must-try! Direction for use:How to use it: massage into wet skin and rinse with water. Suggestions:For all those who want to immerse themselves in a romantic aroma. Characteristic:Soap. 0% EDTA and colourings.